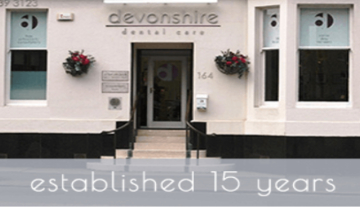 Are you looking to straighten your teeth with a highly discreet, virtually invisible system? Rather than a fixed brace would you prefer a removable aligner that is comfortable, affordable, fast working and convenient? If so, Invisalign Aligners could be the answer. This revolutionary treatment, originating from the USA, has enabled millions of people worldwide to gain the beautifully straight smile they so desire. Invisalign is very popular in older children, teenagers and those adults looking to correct relapsed orthodontic treatment from childhood. The Aligners give very predictable and precise results meaning that treatment times are much shorter- thus making Invisalign a highly cost-effective option for many patients. What is so special about Invisalign? Invisalign makes use of a series of clear plastic aligners made from medical grade plastic. Despite the fact they are see-through, the material is very strong and highly durable. It is also resistant to discoloration and odour making it very hygienic. As the clear aligners sit directly on the surface of your teeth they are hardly visible- meaning that it’s very unlikely anyone will even know they are there! The patented Invisalign technology is cutting edge. Developed in-house and regularly maintained and updated, the 3D Clincheck software allows us to produce virtual models on-screen simply by taking impressions of your teeth. See the current alignment of your teeth, the way in which they are expected to move- even get a glimpse of how your teeth will look following treatment. With this software we can produce your full set of aligners in advance. You will need to collect each one in turn- wear it for 2 weeks and then return for the next. Check-ups will be required every few months so we can check on your progress and comfort. As your aligners are produced in advance, these appointments are much quicker, more comfortable and often much more hygienic. Invisalign aligners are suitable for use on the top and bottom teeth. They are highly versatile and can be used for a range of mild to more complex corrections. Whether you want to ‘tidy up’ your front teeth or deal with more severe issues including over/under bites, gaps, overcrowding or misalignments then Invisalign really could be the answer you are looking for. Highly predictable treatment planned in advance. Custom made aligners produced in advance meaning shorter, comfortable, hygienic and less frequent appointments. Great if you have a nickel allergy- there are no metal brackets or wires. Likewise, they are comfortable as there is nothing to rub on the inside of your mouth. The affect on your life is minimal. Aligners are discreet and can be removed to eat and clean your teeth or for special occasions. Feel confident enough to smile during and after treatment. Every case is different and could range anywhere from 6 to 24 months. On average, treatment usually takes between 12 and 18 months. Before any treatment starts, we will check your teeth and mouth thoroughly to ensure Invislaign is right for you. Impressions of your teeth are taken and used with the Clincheck® software to produce your set of aligners. A detailed treatment plan will also be created. Your set of aligners will be sent to the practice ready for collection. Each aligner is worn in turn for 2 weeks and then you move to the next. It’s important to attend regular check-up appointments so that we can ensure your teeth are moving correctly. You should wear your aligners for at least 22 hours each day for maximum affect. As with any tooth straightening treatment it is highly recommended that you wear a retainer to help stop your teeth returning to their original positions. Any adult seeking treatment for relapsed orthodontic treatment in childhood will understand how easily teeth can move again over time. As part of your Invisalign package you will receive a set of 3 retainers. Each one will be made from the same strong plastic as your aligners so they are comfortable, discreet, strong and very hygienic. Will my Invisalign treatment hurt? On the whole, Invisalign is no more uncomfortable than any other straightening treatment. You may notice an increased tightness or pain when you first insert a new aligner. As there are no metal parts to rub and irritate the inside of your mouth your aligners should in fact be very comfortable. The system moves your teeth slowly and gently meaning that there is less potential for damage to the teeth and/or roots. Standard painkillers should help to relieve any pain. If it doesn’t improve or gets worse please contact us. If you ‘d like to find out more about the revolutionary Invisalign aligners please call us today to book your FREE consultation.